Economic Forecast for 2019. Learn about economic trends that will impact business along with next years opportunities and potential obstacles. The keynote speaker for this event is Dr. Mark Melnik. 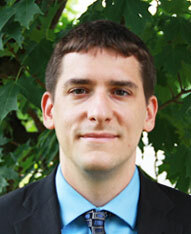 Dr. Melnik is the Director of Economic and Public Policy Research at the UMass Donahue Institute. He also serves as Senior Managing Editor of MassBenchmarks, the journal on the Massachusetts economy. Dr. Mark Melnik specializes in demographic, socio-economic, and labor market issues and leads a 15-person team working on variety of economic and public policy research projects informing clients in government, private industry, and the non-profit sectors. In his time at the Institute, Dr. Melnik has served as the principle-in-charge on projects with such clients as the Secretary of the Commonwealth, the Massachusetts Gaming Commission, the Boston Foundation, the City of Boston, the City of Cambridge, MassDOT, the New England Foundation for the Arts, MassEcon, MassDevelopment, the Boston Private Industry Council, the Massachusetts Department of Housing and Community Development, the Massachusetts Housing Partnership, and the MetroSouth Chamber of Commerce. In addition, Dr. Melnik serves as the Senior Managing Editor of MassBenchmarks, the journal of the Massachusetts economy published by the Instiute in cooperation with the Federal Reserve Bank of Boston. Before joining the Institute, Dr. Melnik worked as Deputy Director for Research at the Boston Redevelopment Authority (BRA) where he led research teams on demographic and economic research studies as well as analyses used for public policy advisement and decision making with the BRA and the City of Boston. Before joining the BRA, Dr. Melnik worked as a research associate at the Dukakis Center for Urban and Regional Policy at Northeastern University. As a leading expert in demographic and socioeconomic issues in the Commonwealth, Dr. Melnik is quoted extensively in the media and was recently appointed to Governor Charlie Baker’s Future of Transportation Commission. We are also pleased to present David Pottier, CFO for MassDOT, who will touch on the Secretary of Transportation's comments on the future of the Cape Cod bridges, discuss capital items for the Cape highlighted in the department's 5 year plan and discuss short term capital projects planned and underway on the Cape. Assistant Secretary and Chief Financial Officer, David W. Pottier. David was appointed Assistant Secretary and Chief Financial Officer of MassDOT in February, 2016. 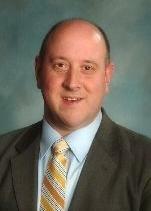 Prior to joining MassDOT, David was Manager of Financial Reporting, Budget Manager, and Budget Officer for Massachusetts Housing Finance Agency (MassHousing), and was formerly the Deputy Director of Fiscal Affairs for the Cambridge Housing Authority and has further worked in the health insurance and banking industries. David holds an M.B.A. and a B.A. 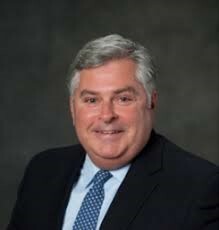 from Boston University and is currently serving his seventh term as City Councilor for the City of Taunton where he resides with his wife and their two kids. Mark Skala will open our program with remarks on the forecast for non profits on Cape Cod. Mark is President and CEO of the Cape and Islands United way. He has served as vice president at Lighthouse Media Solutions, where he oversaw client relations services as well as the company’s TV shows and video production. He previously worked in executive roles at Bank of Cape Cod and GateHouse Media. Mark, his wife and their three boys live in Hyannis. Along with great information you will enjoy a full breakfast.